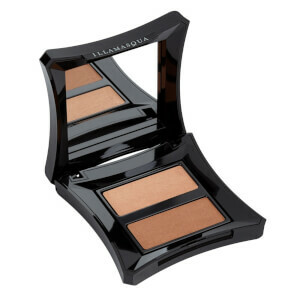 Sculpt your party look with this compact contouring palette. Containing neutral matt Heliopolis for razor-sharp definition, and shimmering champagne Lumos to highlight and illuminate, the Sculpting Powder Duo creates double the impact and is great to contour with. 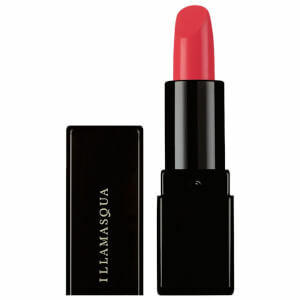 This formulation can provide up to four to five variations of the same shade depending on how lightly or intensely it is applied. 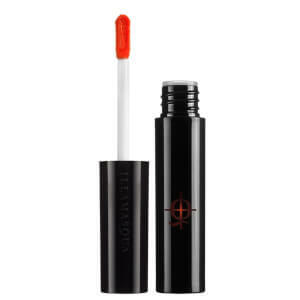 Use wet for a bolder colour pay-off, and it can also double up as an eye shadow. Apply using Blusher Brush 1 for colour on the centre of the cheeks, or using the new Blush Up Brush for more definition and contouring. Heliopolis: Talc, Boron Nitride, Zinc Stearate, Ethylhexyl Palmitate, Trimethylsiloxysilicate, Dimethicone, Aqua (Water, Eau), Sodium Benzoate, Potassium Sorbate, Titanium Dioxide (Ci 77891), Iron Oxides (Ci 77491, Ci 77492, Ci 77499). Lumos: Talc, Dimethylimidazolidinone Rice Starch, Mica, Aqua (Water, Eau), Magnesium Myristate, Propylene Glycol, Octyldodecanol, Isopropyl Myristate, Glyceryl Stearate, Phenoxyethanol, Peg-150, Ricinus Communis (Castor) Seed Oil, Cetearyl Alcohol, Silica, Quaternium-26, Methylparaben, Glyceryl Ricinoleate, Cera Carnauba (Copernicia Cerifera (Carnauba) Wax, Cire De Carnauba), Candelilla Cera (Euphorbia Cerifera (Candelilla) Wax, Cire De Candelilla), Ethylparaben, Sodium Cetearyl Sulfate, Stearic Acid, Cera Microcristallina (Microcrystalline Wax, Cire Microcristalline), Propylparaben, Tetrahydroxypropyl Ethylenediamine, Paraffinum Liquidum (Mineral Oil, Huile Minérale), Cetyl Alcohol, Cera Alba (Beeswax, Cire D’Abeille), Parfum (Fragrance), Mica, Calcium Aluminum Borosilicate, Silica, Tin Oxide [+/- May Contain / Peut Contenir: Titanium Dioxide (Ci 77891), Iron Oxides (Ci 77491, Ci 77492), Carmine (Ci 75470)]. Love this sculpting duo, perfect colours. Ordered 2 online (which I’ve done before with no problems) opened box today to start using one and unfortunately the highlighter section is crumbled mess all over the place was damaged in transit - so disappointed. Highlight is a cute subtle glow and and bronzer is perfect contour for pale skin, so bendable and very buildable without it looking "muddy"
I have a very pale complexion and this is the only bronzer that I use. It it's too orange and it warms my face up lovely. Been using this for the past 3 years I believe, will continue to do so - please don't discontinue it. The best scupting powder in my opinion. Not suitable for very pale skin, it is too warm and orange, looks a bit like bronzer which isn't super as I like my paleness. The quality is great however! Unique product, I first bought it 6 years ago and don't want to change it. Fantastic product. Easy application. Looks natural on but easy to build on. Top Marks. I love the highlight powder but the sculpting shade is a bit too yellow.